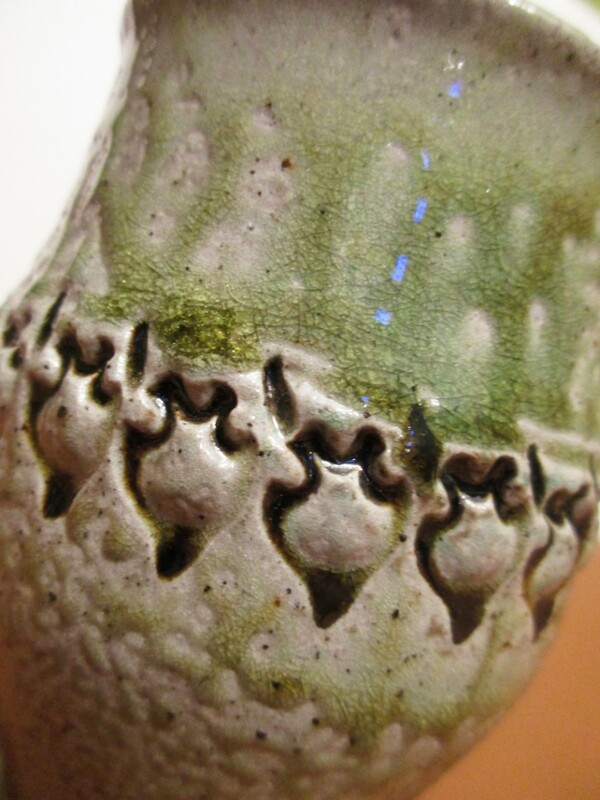 Detail shot of Mug H : A preview for TOMORROW’s online mug sale! Remember, these photos are just to whet your whistle. The actual sale will “go live” on my Facebook pottery page this coming Saturday 1/30 at noon CST. Watch for the “official” Facebook Photo Album. Be the first to Comment on the Photo Album photo to “claim” your mug!!! Click here to go to my pottery page : Fire When Ready Pottery on Facebook.